The study is based on a collection of ancient texts, art, artifacts, and archaeobotanical remains such as fossil pollen grains, charcoals, seeds, and other fruit remnants. It was led by archaeobotanist Dr. Dafna Langgut of TAU's Institute of Archaeology and The Steinhardt Museum of Natural History and recently published in HortScience. Until the first century AD, the only citrus produce available to the ancient Romans were the extremely rare and inordinately expensive citrons and lemons. "Today, citrus orchards are a major component of the Mediterranean landscape and one of the most important cultivated fruits in the region. But citrus is not native to the Mediterranean Basin and originated in Southeast Asia," Dr. Langgut said. "My findings show that citrons and lemons were the first citrus fruits to arrive in the Mediterranean and were status symbols for the elite. All other citrus fruits most probably spread more than a millennium later for economic reasons." At first the Romans only had access to rough-skinned citrons, also known as etrogim—mostly rind and dry, tasteless flesh. The citron arrived in Rome from what is now Israel. The earliest botanical remains of the citron were identified in a Persian royal garden near Jerusalem and dated to the 5th-4th centuries BC. It is presumed that it spread from there to other locations around the Mediterranean. "The first remains of the earliest lemon, found in the Roman Forum, date to right around the time of Jesus Christ, the end of the first century BC and early first century AD," said Dr. Langgut. "It appears that the citron was considered a valuable commodity due to its healing qualities, symbolic use, pleasant odor and rarity. Only the rich could have afforded it. Its spread therefore was helped more by its high social status, its significance in religion and its unique features, rather than its culinary qualities." According to Dr. Langgut, sour oranges, limes and pomelos were introduced to the West by Muslim traders via Sicily and the Iberian Peninsula much later, in the 10th century AD. "It is clear that Muslim traders played a crucial role in the dispersal of cultivated citrus in Northern Africa and Southern Europe," Dr. Langgut said. 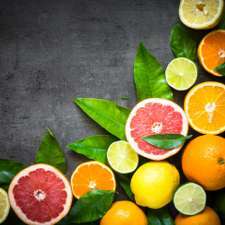 "It's also evident because the common names of many of the citrus types were derived from Arabic, following an earlier diversification in Southeast Asia. Muslims controlled extensive territory and commerce routes from India to the Mediterranean." According to the research, the sweet orange associated with Israel today only dates as far back as the 15th century and was the product of a trade route established by the Genoese and, later, the Portuguese. The sticky-sweet mandarin was introduced to the Mediterranean only in the beginning of the 19th century. "It wasn't until the 15th century that the sweet orange arrived on European tables. By the time mandarins appeared in the 19th century, citrus fruits were considered commonplace," said Dr. Lanngut. "They were cash crops rather than luxury items." I would wager that the Romans did not use the Hebrew word etrogim for their citrons.